Our signature face treatment is customized to meet your skin’s needs. It combines the benefits offered by both the Microdermabrasion and the Oxygen Facial. The Oxymicro was chosen as our signature face treatment because it is suited to a wide variety of skin types and conditions. Call or drop by today to have a free assessment of your needs for that facelift feel. Your face is you. Regardless of the season, your face is always present to the world and the first thing you see and focus on when you look in the mirror. Your face is the reflection of your soul. People can judge your mood, catch more from you than words can tell and catch a glimpse of the real you all from studying your face. Why not give them something extra special to observe? A facial will go a long way in helping you look and feel your best. A facial is your special gift to yourself to rejuvenate and invigorate. There are a lot of facets to a face treatment. It can include deep cleansing with a cleanser, gentle massage, creams, peels, waxes, masks, lotions and potions. A basic will involve the use of steam to open pores, high frequency to eradicate bacteria and close pores, the application of a mask such as Korean or Dead Sea Mud and finally a moisturizer. A basic oxygen face treatment will add serums and the use of a high pressure oxygen concentrator. A teen face facial for teenage acne treatment will use a lot of the above procedures but will concentrate on acne prone areas for maximum effectiveness. It will also help get rid of blackheads. On top of this we have a microdermabrasion and the ultimate – our signature facial that combines the oxygen and microdermabrasion treatment. Need help in sorting it all out? Kimmie and her staff will see to it that your treatment is as memorable and exquisite an experience as possible. She will discuss your skin condition with you and help you select the perfect combination and package for the ultimate in treatment and care. Whether your goal is exfoliation, collagen stimulation, wrinkle reduction & anti-aging or just a good, deep cleansing, Excellent Esthetics is the place to be. Contact us and book your appointment today. Derma Care at it’s best! 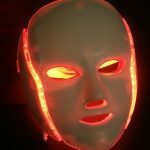 This is a needle-free and painless deep skin treatment that uses a specialized machine to massage your face tissues with a high-pressure oxygen blast. This not only immediately boosts circulation and invigorates the skin, but it also helps the face absorb the hyaluronic acid serum applied during treatment. 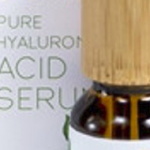 For those of you that don’t know, hyaluronic acid serum is a powerful moisturizer that keeps the skin soft, supple and moisturized, which helps prevent breakouts and signs of aging on the skin! This is especially valuable during the winter months when your skin can become dry and irritated by the harsh winter climate. Diamond Microdermabrasion is a non-surgical procedure that abrades the skin much less than regular and more aggresive dermabrasion. Using a diamond tipped unit effectively eliminates the crystal residue generated by that particular system. This makes it safe for use around the eyes and mouth where unwanted wrinkles occur. A strong suction system immediately removes the skin and debris. The net result is a procedure that is highly effective and pain free. For those of you that don’t have time for the full relaxing face treatment that is the hallmark of an Excellent Esthetics regular spa treatment, we have our 30 minute Fast / Furious Facial. Let’s face it, time is the one commodity we don’t often have in abundance. Today’s busy world insists that we do things in a hurry and cram as much as we can into a tight schedule. Excellent Esthetics can help. We have modified our facial to accommodate those of you that are on the clock but insist on taking care of yourself. If you can find 30 minutes, you have time for a professional face treatment. This is the fastest we can do the facial while still maintaining the high quality service that Excellent Esthetics is known for. If your schedule leaves you pressed for time and requires that you accept a little less pampering, it will still give you that feeling of being treated like royalty. In fact we use real Dead Sea Mud for the mask. It is known to be one of Cleopatra’s favorites and yes it is imported from the Dead Sea in its mud state. There are no dry powder mixes requiring reconstitution. It is all natural and really doesn’t smell that great but it is well known for its skin treatment properties as well as numerous health benefits. We call it “royalty in a hurry”; a fast analysis, deep cleansing, a mask and then we moisturize your face for that fresh clean feeling and quality result that only a professional can provide. This facial treatment has a low introductory price of just $40 and takes only 30 minutes. 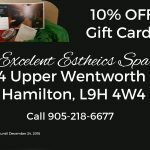 Call Kimmie and the staff at Excellent Esthetics Spa and book yours today.